With summer quickly approaching, Delta Air Lines’ 80,000 employees worldwide are helping to ease long security lines and serve both seasoned and first-time travelers. Earlier this year, Delta and the Transportation Security Administration began collaborating to take steps to improve the security process at the national and airport levels. As a result, the airline is investing up to $4 million in additional staffing at 32 airports across the U.S. to supplement TSA staffing. Delta also invested nearly $1 million in the research, development and implementation of two new checkpoint lanes at Atlanta’s Hartsfield-Jackson International Airport. The redesigned lanes, which opened this week, are expected to increase throughput. In a memo to Delta employees Wednesday, Chief Operating Officer Gil West thanked the team for their efforts to prepare for the busy summer operation as well as their operational performance to date. 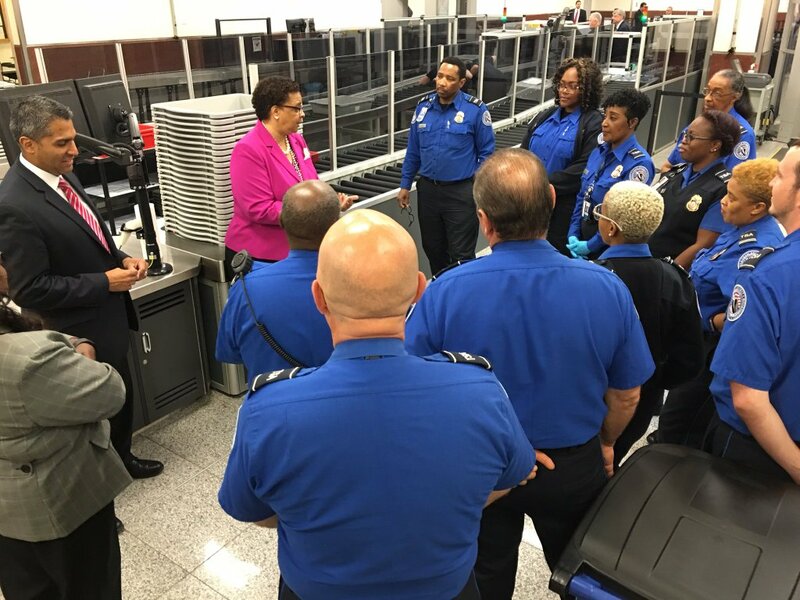 Staffing up – Providing staffing support at TSA checkpoints for tasks that will free up TSA inspectors to open additional checkpoint lanes at peak where possible or improve throughput. Delta intends to deploy employees or vendors in areas to manage lines, bins and other non-screening tasks. DELTA IS providing nearly $4 million in staffing solutions. Thinking differently – Lending subject matter expertise from industrial engineers and other areas to make recommendations on queue design and how checkpoints could be redesigned for a more optimal flow and ease of movement. Innovating – Redesigned, at Delta’s expense, two checkpoint lanes at Atlanta’s Hartsfield-Jackson International Airport. These lanes, a nearly $1 million investment for Delta, opened Tuesday and are expected to increase throughput. Giving customers a choice – Partnering with CLEAR to provide complimentary enrollment to Diamond Medallions and preferential pricing to SkyMiles members for expedited document check-in and biometric verification for priority queuing at hubs this year. Additionally, Delta has created the above video for customers noting travel tips provided by an Atlanta-based Airport Customer Service Employee. Since Delta implemented supplemental staffing in early May, the airline has seen a 10 percent increase in throughput at TSA security lanes. Further shortening wait times, Delta’s staffing support at 32 airports has allowed TSA to open nearly 30 additional lanes across the U.S. that would have gone unstaffed.